Clarity (min) I3. Earrings GIA Certified. Certification: GIA. Carat Weight Ctw: 1 Carat. Fine Diamond Jewelry. clarity : I3. Polish: Very Good. Diamond Details. Clarity SI2. Watch this Diamond sparkle on video! follow this link:Video. Cut (Shape) Round Brilliant. Carat Weight 1.02. Natural Clarity Enhanced No Ammonia When Cleaning. Do Not Heat Diamond Above 572 Degrees Fahrenheit. 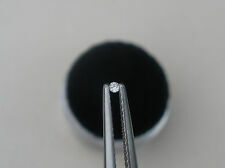 Natural White diamond loose round 4mm ---beautiful diamond with spark n fire ! 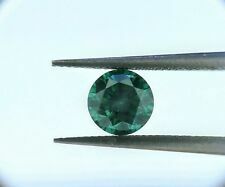 Originated from the mines in Africa Very Good Cut GH color S1-1 clarity Round Diamond in size: 4mm (0.25 ct.). HARDNESS: 10. Clarity: SI3. EGL CERTIFIED DIAMOND. Shape/Cut: Princess. 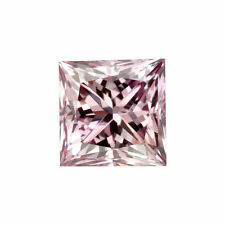 Weight: 0.73ct. 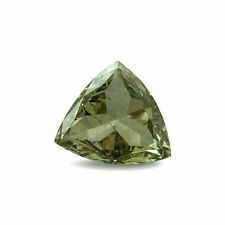 Nice 0.90ct Princess Cut Natural Fancy Yellow Diamond.SI2. Full IGL Report. A 0.90ct Princess Cut Natural Fancy Yellow Diamond. Good Colour Saturation. Assigned SI2 Clarity Grade By The IGL. Natural Colour, Clarity Enhanced. A Conflict Free Diamond. Nice 0.90ct Princess Cut Natural Fancy Yellow Diamond. 0.52 CT Loose 100% Natural Diamond Fancy Yellow Orange VS2 Cushion Cut Certified. Color: Natural Fancy Yellowish Orange. Clarity: VS2. Shape: Cushion. Carat Weight: 0.52 ct. DIAMOND INFORMATION. Pink Diamonds. Clarity: I1. GIA CERTIFIED DIAMOND. Polish: Good. Culet: None. Table: 82%. Depth: 76.5%. The diamond is stunning YELLOW ZIMI! Color Grade: Fancy VIVID Yellow - ZIMI. Stone needs to be re graded! Clarity: SI1. GIA CERTIFIED DIAMOND. Polish: Good. Shape/cut: Round Brilliant. 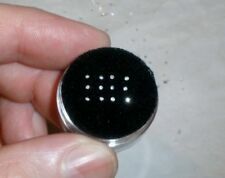 Weight: 0.50ct. Table: 64%. Depth: 59.9%. Earrings GIA Certified. Clarity (min) SI1. Certification: GIA. Carat Weight Ctw: 0.51 Carat. Fine Diamond Jewelry. Polish: Good. Diamond Details. Shape: Round. This diamond was graded by a Certified Independent Diamond Grading Laboratory (IGL Laboratories), and is sold as such. Clarity SI1. Cut (Shape) Round Brilliant. Carat Weight 0.92. DIAMOND VIDEO ALSO watch THIS DIAMOND SPARKLE ON VIDEO at the following link:Video. Shape/cut: Marquise brilliant. 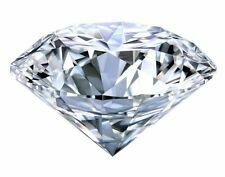 EGL CERTIFIED DIAMOND. Clarity: SI1. Polish: Good. Fluorescence: None. Shape/cut: Marquise brilliant. Clarity: SI1. GIA CERTIFIED DIAMOND. Polish: Good. Depth: 53.5%. Girdle: Very thin to very thick faceted. 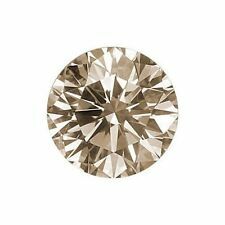 0.63 CT Loose 100% Natural Diamond Fancy Yellowish Brown natural I2 Round Brilliant Cut HRD Certified. Color: Fancy Yellowish Brown natural. Your CHANCE to WIN 100% CERTIFIED NATURAL DIAMOND ! ACTUAL PHOTOS IS ATTACHED, DIAMOND IS 100% NATURAL AND ARRIVE WITH ORIGINL CERTIFICATE. 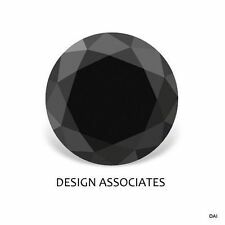 GIA Certified 0.80 Ct Round Brilliant J/Internally Flawless/Excellent Cut Loose Natural Diamond #A. Color Natural Fancy Intense Brown. Clarity VS2. This diamond was graded by a Certified Independent Diamond Grading Laboratory (IGL Laboratories), and is sold as such. Cut (Shape) Round Brilliant. DIAMOND VIDEO ALSO watch THIS DIAMOND SPARKLE ON VIDEO at the following link:Video. Clarity (min) VVS2. Earrings GIA Certified. Certification: GIA. Carat Weight Ctw: 0.5 Carat. clarity : VVS2. Fine Diamond Jewelry. Polish: Very Good. Diamond Details. This stone has been certified by IGI. 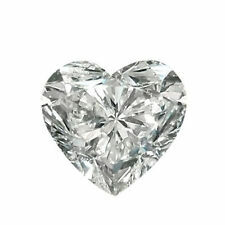 A stunning Radiant shaped diamond, certified by I.G.I. at their New York laboratory. A superb "RADIANT" cut natural diamond. You will no doubt have noticed a change in the pricing for this item. Clarity: I2. GIA CERTIFIED DIAMOND. Shape/cut: Cut-cornered square modified brilliant. Polish: Very good. Earrings GIA Certified. Clarity (min) VS1. 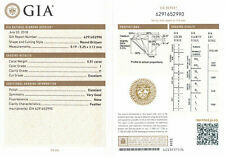 Certification: GIA. Carat Weight Ctw: 0.6 Carat. Fine Diamond Jewelry. Polish: Good. Diamond Details. clarity : VS1. EGL CERTIFIED DIAMOND. Color: Fancy Black. Diamond Origin: Natural. Shape/cut: Round brilliant. Color Origin: Color Enhanced. Color: Natural Fancy Purplish Pink. Diamond Clarity is VS1 and its high clarity total 100% Eye clean, only minor inclusions - diamond is sealed in security seal of AIG. Fancy diamond are rare and very very popular because their special and unique color. Color Grade: Fancy Intense Purplish Pink. Carat W eight: . 10. Ready to Set Create your own beautiful piece of jewelry, in the style of your choosing. This 1.01 Round diamond CGL D SI2 is ready for setting into the design of your choice and presented in a Gift Box and comes with Certificate of Authenticity. .
EGL or GIA certified. If you want to trade-in a. Natural ROUND Diamond. Polish - Very Good. Clarity - I-1. For sale at wholesale price gorgeous natural diamond that keep the value even after few years. Shape/cut: Marquise brilliant. Clarity: I2. GIA CERTIFIED DIAMOND. Polish: Very good. Depth: 67.0%. Fantastic Rectangular Princess cut diamond. Near colourless, and VERY eyeclean, but what sets it apart from just about every other Princess we have, is the super cut quality. A superb "Rectangular Princess" cut natural diamond. Cut (Shape) Pear. Clarity SI2. Watch this Diamond sparkle on video! follow this link:Video. Carat Weight 0.94. Natural Clarity Enhanced No Ammonia When Cleaning. Do Not Heat Diamond Above 572 Degrees Fahrenheit. 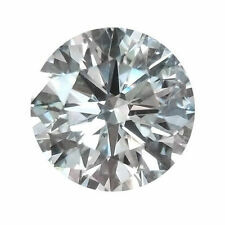 Certified 1.07 Carat K SI1 Round Brilliant Enhanced Natural Diamond 6.43m EX CUT. Watch this Diamond sparkle on video! follow this link:Video. Clarity SI1. Cut (Shape) Round Brilliant. Carat Weight 1.07. NATURAL WHITE BAGUETTES DIAMOND 0.50 CTS,MOST AMAZING WHITE! Clarity of these stones isVS- SI, cut grade - premium. White, clean, nice looking stones. DIAMOND COLOR CHART. DIAMOND CLARITY CHART. MARQUISE CUT. GENUINE DIAMOND. Different computer monitors -- color hues & values -- vary slightly when compared to real-life color. This Asscher Cut natural loose diamond features has. Clarity : VVS2. This loose asscher cut diamond is directly acquired from manufacturers. Shape: Asscher. Clarity Grade : VVS2. Buy GIA Certified loose diamonds available at best wholesale diamonds price.